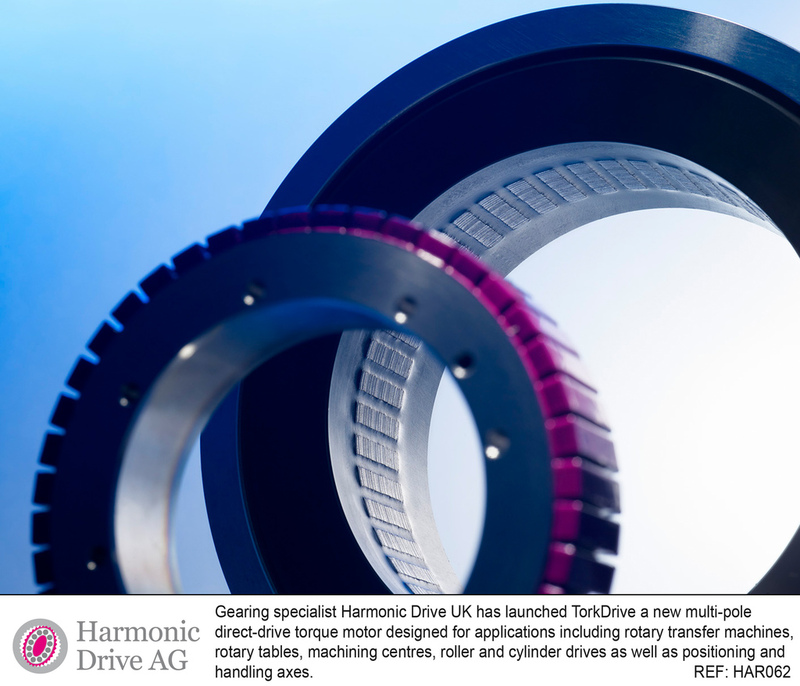 Gearing specialist Harmonic Drive UK has launched TorkDrive a new multi-pole direct-drive torque motor designed for applications including rotary transfer machines, rotary tables, machining centres, roller and cylinder drives as well as positioning and handling axes. The multi-pole design of the motor components allows the drive to transmit high torque at low to medium rotational speeds. TorkDrive has been developed to provide high dynamic response, precision and system rigidity in industries from robotics and handling, to machine tools, packaging and the food and beverage sector. The range is available in five sizes offering a maximum torque from 19 to 600 Nm.Units can be customised for integrated drive solutions and are available in kit form, where the stator and rotor are delivered as individual components without housing. This provides an extremely compact solution for direct integration into machine design.